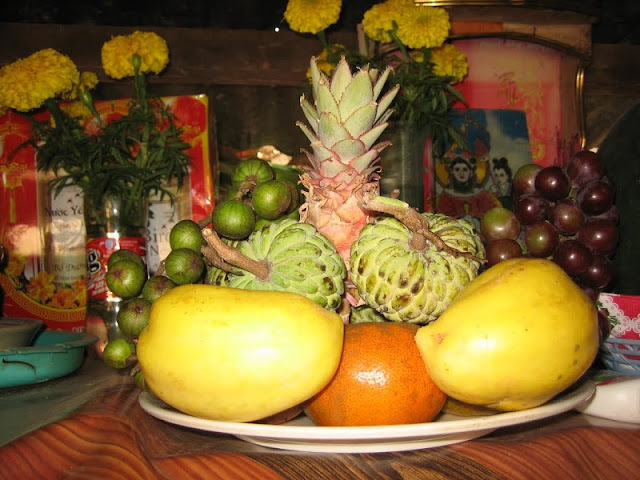 A five-fruit tray, though varying from one region to another due to differences in climate and fruit crops, light up altars with their ample colours. 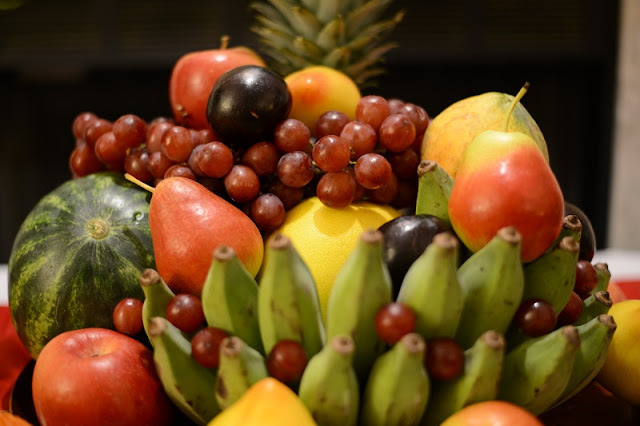 In northern areas, five-fruit trays ornamented with pomelos, peaches, kumquats, bananas and persimmons are relatively smaller than those in southern areas with pairs of watermelons, coconuts, papayas, custard apples, mangos, and figs. Improvements in people's living conditions in recent years have led to a greater sophistication in choosing fruits for the altar for the Tet holiday. 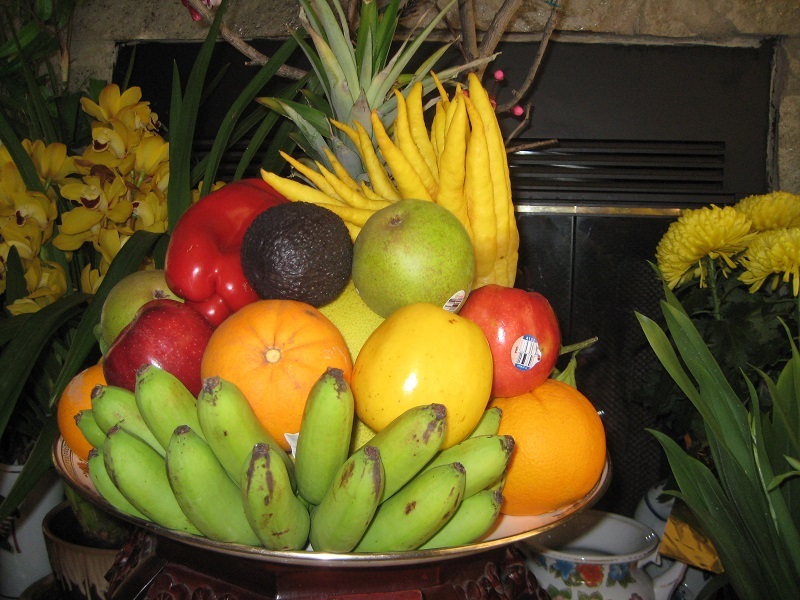 A tray may contain more expensive, rarer fruits like grapes and pears, but all in all it is still a five-fruit tray, a nice offering of the Vietnamese people to their ancestors. It not only displays a life-long tradition but also sends a message of hope for happiness, good luck and prosperity for the new year.